Mrs Wendy Joy Nelson is the Member of the Executive Council responsible for Finance, Economy and Enterprise Development of the North West Provincial Government from May 2014. MEC Nelson served in the National Assembly from 2009 until May 2014 in the COGTA portfolio where she served as the Whip for the Committee as well as the Governance cluster. 2006 to 2009 she was the Speaker at the Dr Kenneth Kaunda District Municipality. 1994 – 2000 she was a Councillor in the Matlosana Local Municipality also seconded to the Dr Kenneth Kaunda District Municipality, then Southern District Municipality. 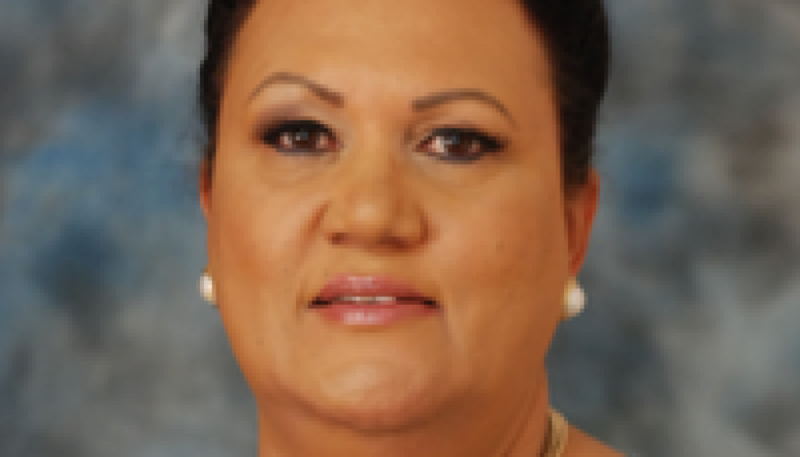 Prior to full-time deployment in government she worked in the Alcohol and Drug field for 15 years, amongst others as the Head of Community Services with Sanpark Alcohol and Drug Centre based in Klerksdorp. Mrs Nelson is a member of the ANC and a founding member of the Tyrone Thomas Branch, Ward 03 Matlosana Sub Region in the Dr Kenneth Kaunda Region. Since 1990 she has served in various positions in the branch. She has also served on the Regional Executive Committee of the Dr Kenneth Kaunda Region and served for two terms as the Regional Treasurer. Mrs Nelson is currently a Provincial Executive Committee member (PEC), Provincial Working Committee Member (PWC) and also the chairperson of the Provincial Disciplinary Committee.